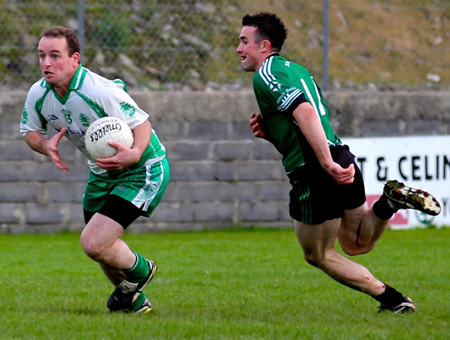 A hungry home side put in their best performance of the season to date to claim a place in the intermediate championship semi-finals against Termon. 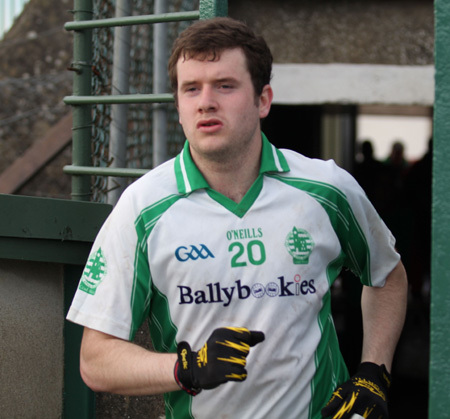 Michael 'Sticky' Ward was in unmarkable form for Aodh Ruadh and he gave early notice of intent with a goal after just a minute. 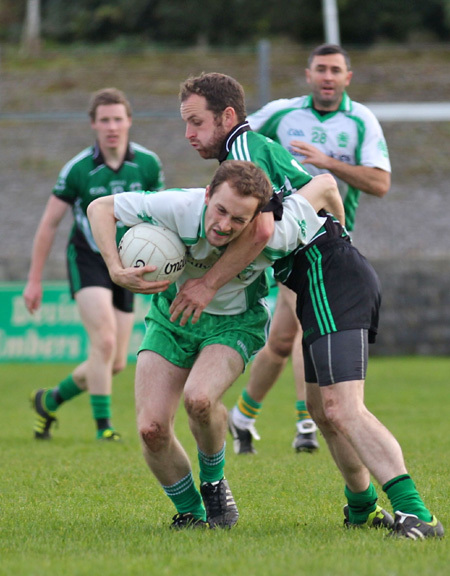 The ball went into a ruck in the Naomh Br�d penalty area and broke loose. Ward showed the quickest reactions to pull on it first time and finish to the back of the net. Two minutes later Ward fielded well and kicked on the turn, his shot was dropping short, but Brian Roper put a firm fist to the ball to send it over the bar. With six minutes gone Peter Boyle hit the first of two monster free kicks from beyond the 45 metre line to put the homesters into a 1-2 to no score lead. 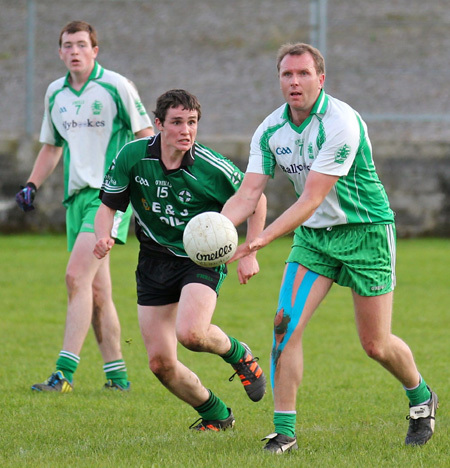 Pete Walsh, back in action for Ballintra after missing the first leg, fetched the kick out and got on the end of the Naomh Br�d move to finally open their account in the seventh minute. 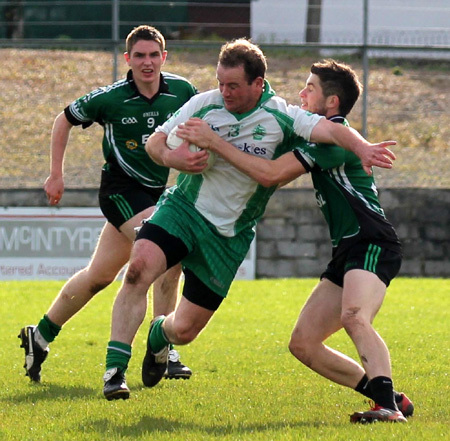 A minute later and David Dolan had to labour hard to engineer an opportunity which Sticky Ward converted on the turn. 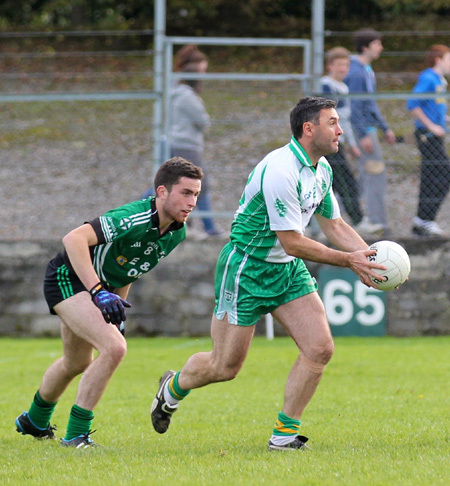 Ward was causing huge problems for the Ballintra / Laghey men and after 11 minutes he fired over his second point under severe pressure from the Naomh Br�d defence. 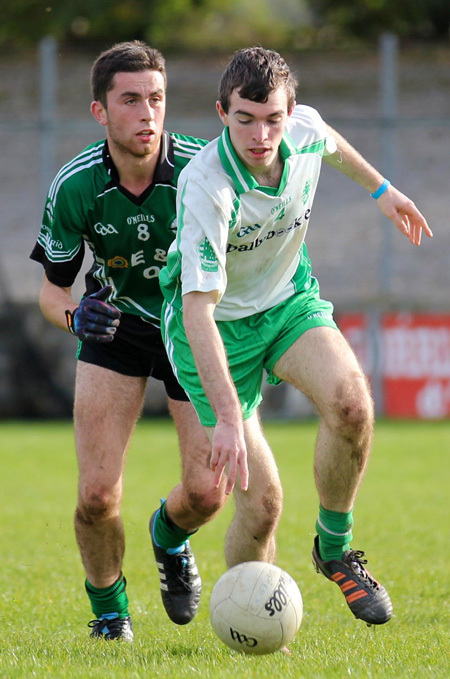 Young Shane Walsh was to prove, once again, the visitors' most effective attacking outlet and it took at fine free launched over from 30 metres to notch his first score of the day. 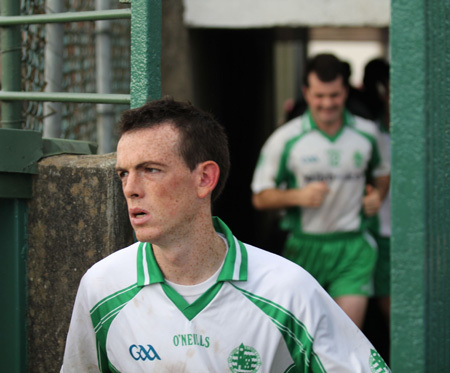 David Dolan responded with a free to leave the scores at 1-5 to 0-2 as the game moved into the second quarter, but perhaps the more important development at this point was the introduction of Kerry Ryan for Barry Ward. 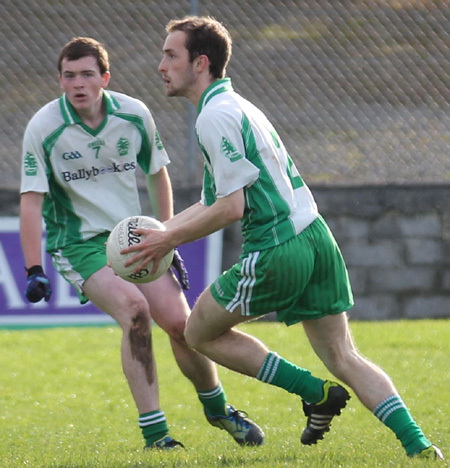 Ryan was to put in a storming display over the remainder of the game, making it very difficult for Ballintra to find a way back. Brian Roper was in fine form, showing his strength on more than one occasion. 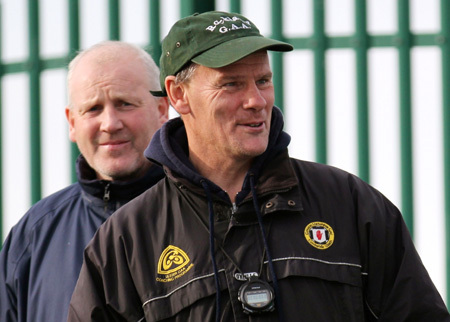 And it was he who set up Donagh McIntyre for a score of the game contender. McIntyre took custody of the ball out on the right and lost a would-be tackler with a lovely solo dummy before slashing the ball over with a shot off the outside of the right boot. A close range point from Sticky Ward two minutes later put eight points between the sides. 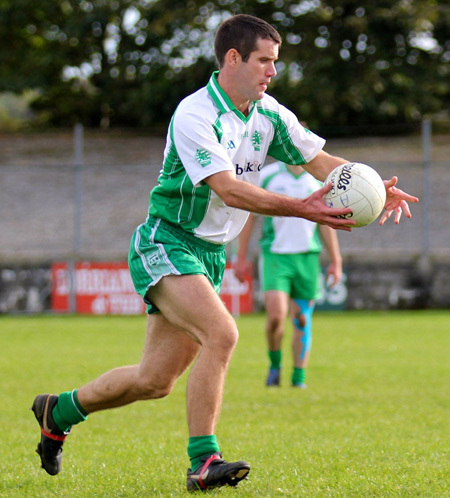 With two minutes left in the half Shane Walsh got Naomh Br�d's first point in 15 minutes to claw back the margin, but it was about to get worse again for the visitors. 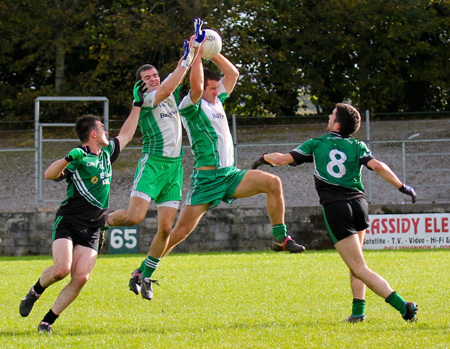 It started, as so many of Aodh Ruadh's best moves did, with a superb catch from Sticky Ward. 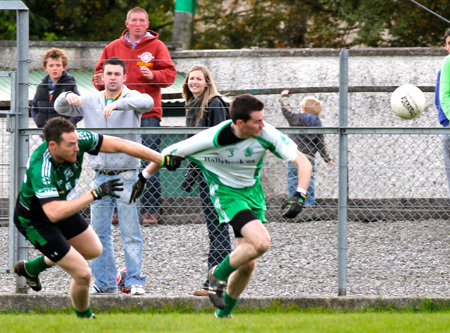 It sent the ball on to Martin Gallagher who found Kerry Ryan who had broke free of cover. 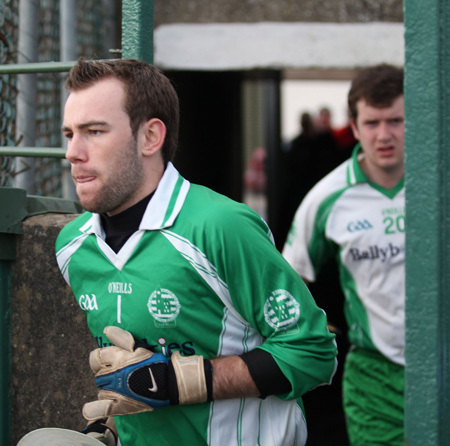 Ryan eschewed the temptation to point and slotted clinically under Dermot McCafferty to take the gap between the sides out to ten points. 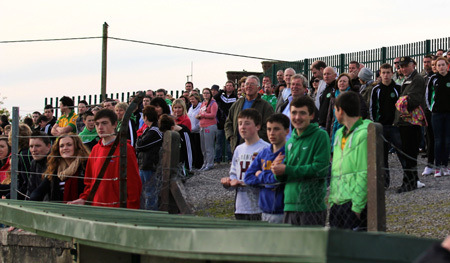 Peter Boyle's second monster free a minute into added time saw the home crowd in vocally appreciative form. Referee Jimmy White played seven minutes of added time at the end of the first half and Shane Walsh sneaked a point in a minute before the break to give the visitor's some glimmer of hope to grasp on to. 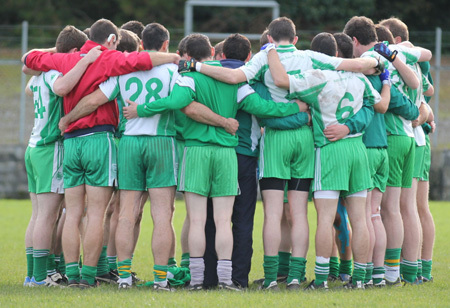 Half time score: Aodh Ruadh 2-8 Naomh Br�d 0-4. 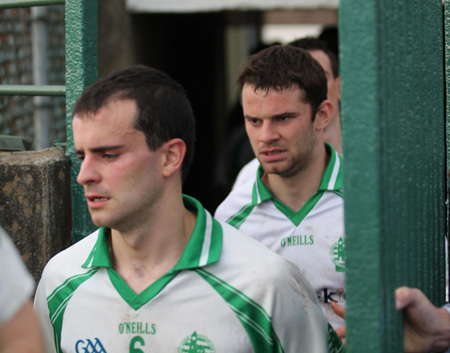 Shane Walsh started the second half as he had finished the first, swinging over his fourth point of the day. 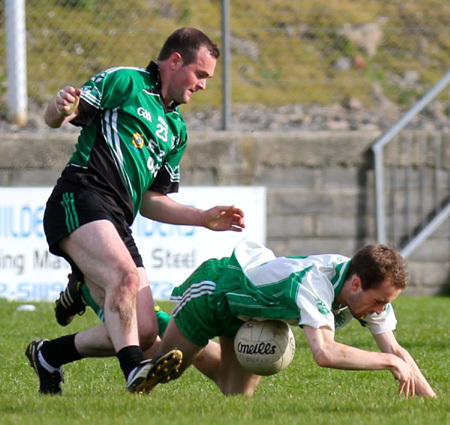 Dermot Langan was fouled to give Walsh a free which he duly converted for Ballintra / Laghey men. 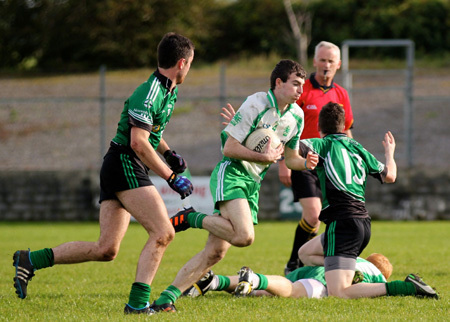 The green and black had started the second half the better of the two sides, and although eight points down, they have shown in the past that the team that under-estimate them usually live to regret the error. 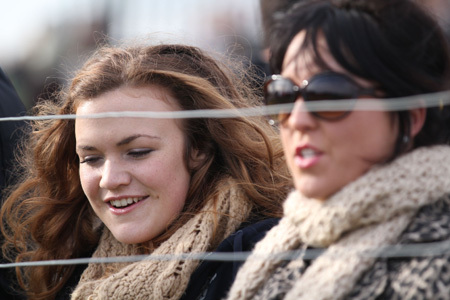 With that in mind it was an important point Sticky Ward delivered six minutes into the half. A minute later and Johnny Gallagher was replicating the trickery of Donagh McIntyre earlier in the game, dummy soloing and driving over from the right. 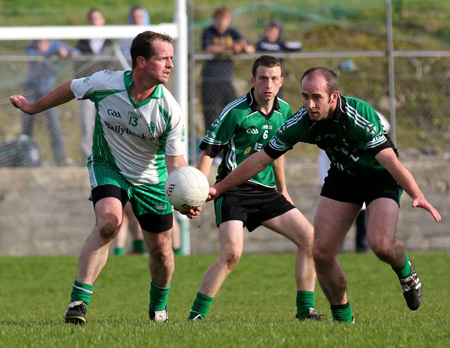 Two Sticky Ward frees saw Ballyshannon move into a 12 point with 18 minutes left on the clock. 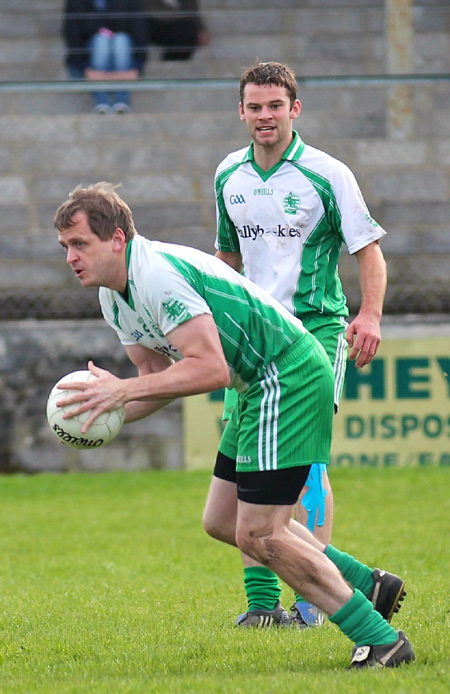 Gary McCafferty became only Naomh Br�d's third scorer a minute later, but his effort was cancelled out by another lovely point from Donagh McIntyre. 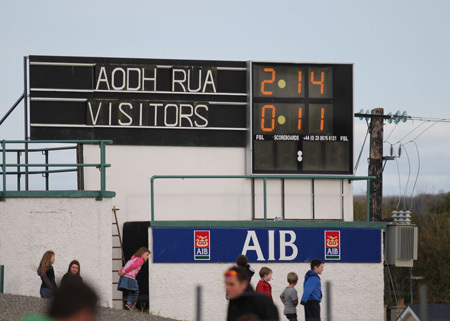 Surprisingly McIntyre's 44th minute point was to be the last time Aodh Ruadh would trouble the score board until practically the last kick of the game. 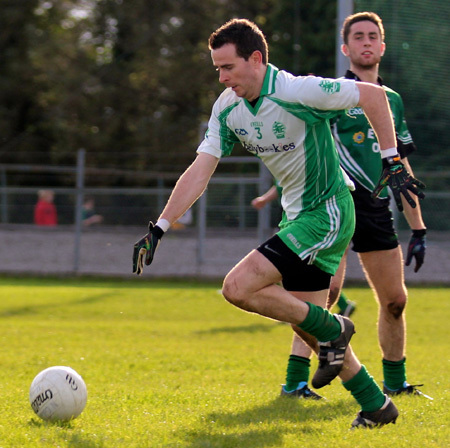 Naomh Br�d struggled manfully throughout the last quarter to get themselves back into the match, but it was one of those days where every ball seemed to be breaking Aodh Ruadh's way. 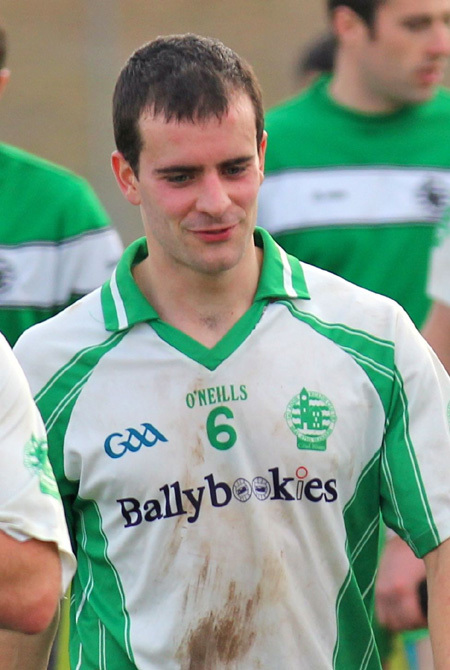 A great point from Shane Walsh on 48 minutes which took the scores to 2-13 to 0-8 signaled the start of the Ballintra revival. 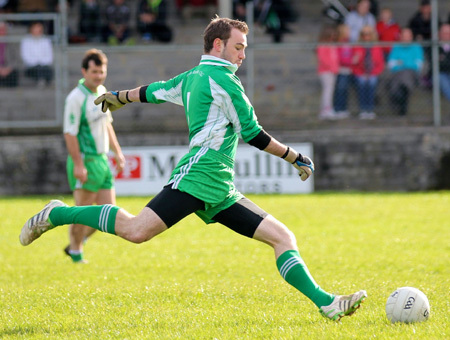 Three minutes later a shot on goal rebounded out and Gary McCafferty converted from directly in from of the posts. 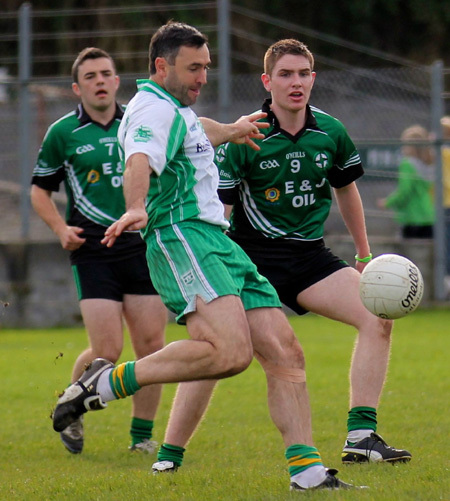 Another three minutes on and Naomh Br�d sallied up the pitch and won a free after Ballyshannon over-played an attack which broke down, Shane Walsh converting. 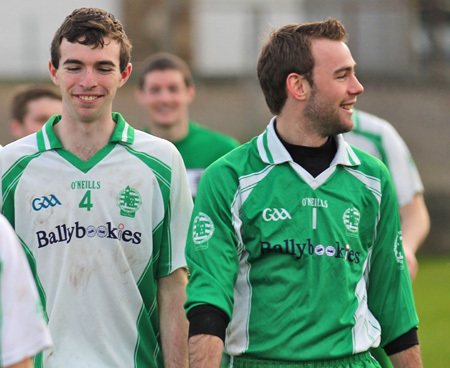 With five minutes left Walsh got the visitor's last score of the game, his fisted effort bouncing over the cross bar. The last of the scoring action came two minutes into added time when David Dolan got a well-earned point for an industrious evening's activity. 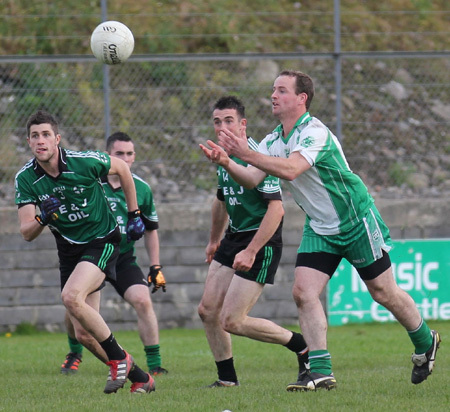 And so a morale-boosting victory for Aodh Ruadh takes them into the intermediate championship semi-finals. 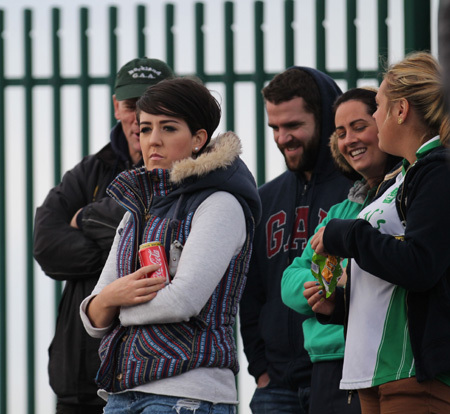 The defining aspect of the homesters' performance was the hunger they brought to the game, the first time they had matched Naomh Br�d for that quality in five encounters over the past two years. Sticky Ward was in sensational form. Every ball that went in stuck like glue and was used to the maximum effect. He was full value for his 1-6 tally. 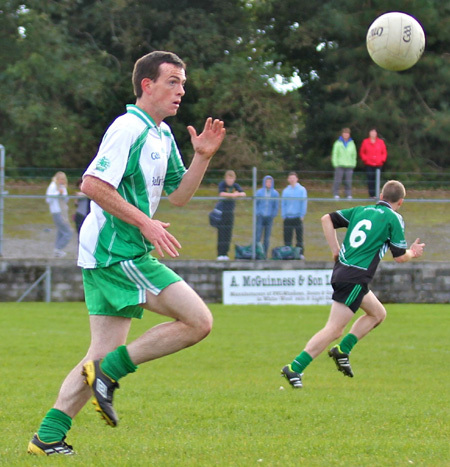 Two fabulous points from Donagh McIntyre gilded a fine display from the ex-county under 21. Like Ward, Brian Roper was a great forward outlet, almost always collecting his ball first time and creating attacking opportunities. 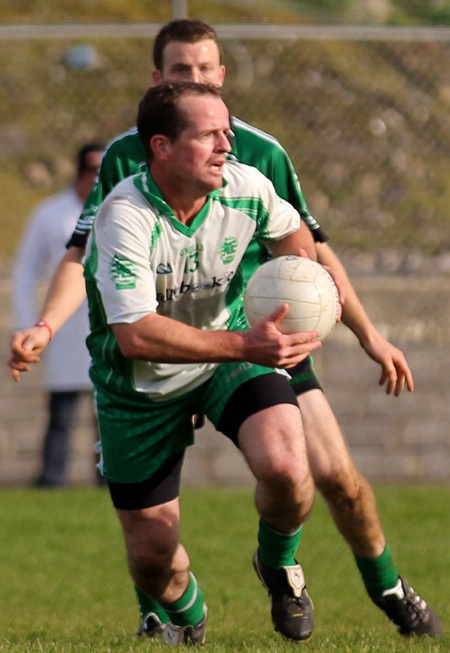 Further out the pitch the footballing guile of Martin Gallagher was often the grease in the Aodh Ruadh machine. 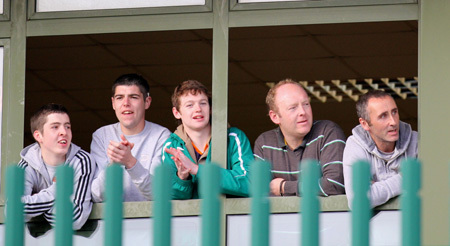 The introduction of Kerry Ryan was pivotal. He got through a mountain of work and took a right bit of punishment for his pains. 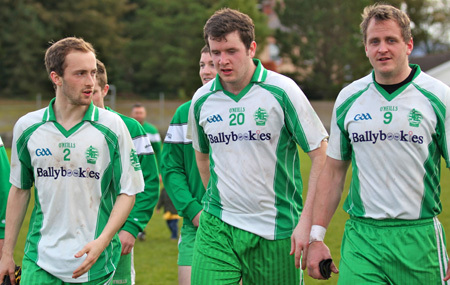 Defensively Johnny Gallagher, Michael Dolan, Ciron Whoriskey and Ronan Drummond all put in a tigerish 60 minutes, while Peter Boyle's accuracy from distance frees proved a valuable weapon in the Ballyshannon arsenal. 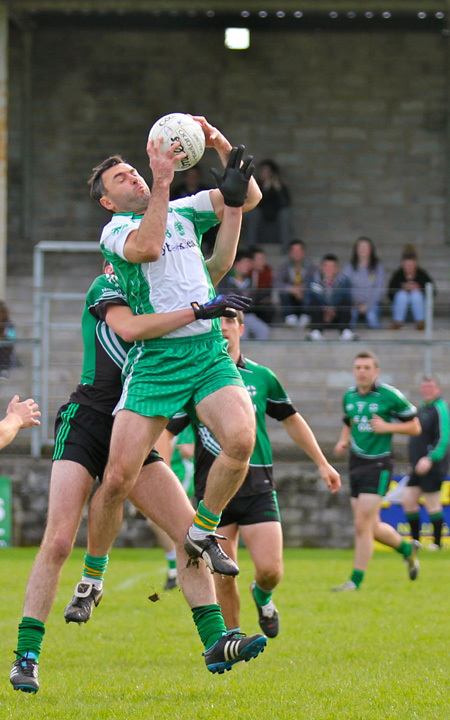 Substitutes:Kerry Ryan (1-0) for Barry Ward: 15 minutes; PJ McGee blood sub for Conor Patton 19-25 minutes; Stephen Ward for James O'Donnell: 55 minutes, Barry Mulligan for Niall McCready: 62 minutes; Paul Kane, Diarm�id McInerney, Ryan Granaghan, Johnny Gethins, Shane Ward, Anthony Boyle. Yellow card: Michael 'Sticky' Ward: 50 minutes. 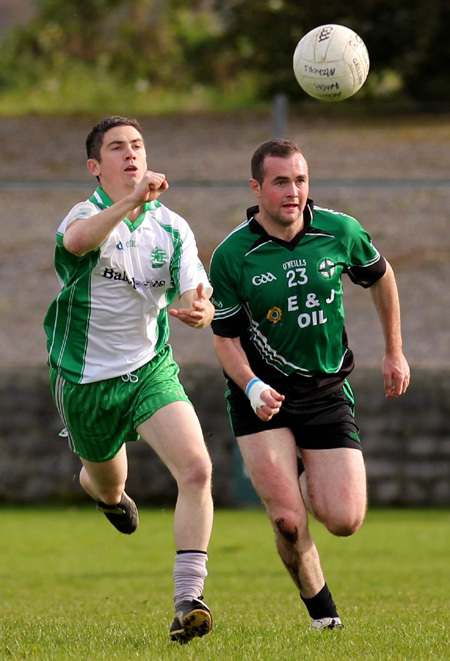 Dermot McCafferty; Jamie Timoney, Clint Walsh, Maurice Quinn; Pete Walsh (0-1), Gary McCafferty (0-2, 1f), Sam Burgess; Thomas Gallagher, Ross Gallagher; Darragh Brogan, Dermot Langan, Declan McCafferty; Shane Walsh (0-8, 4f), David Walsh, Callum Gallagher. Substitutes: Paul McGroary for Declan McCafferty: 25 minutes; Steven Doherty, Sean Rooney, Richard Walsh, Steven Walls, Liam Duffy, Owen Harron, Padraig Gormley, Sean Gormley, Padraig McDaid. Yellow cards: Clint Walsh: 3 minutes; Shane Walsh: 45 minutes. 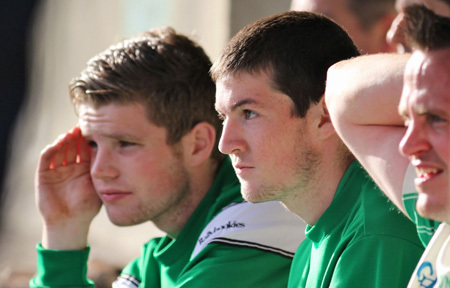 Management: Dermot Gallagher and Shane Gallagher.